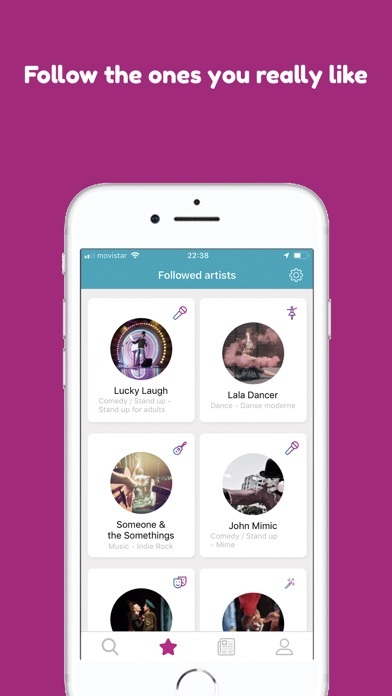 The Hat is the app to discover all the free art around you and help artists with direct donations from your mobile. Whether you are an ArtLover, an Artist or a Venue, if you love the world of performed arts, you will find your site. As an ArtLover, you find all the free art events around you, discover emerging artists and help the talent to keep growing. 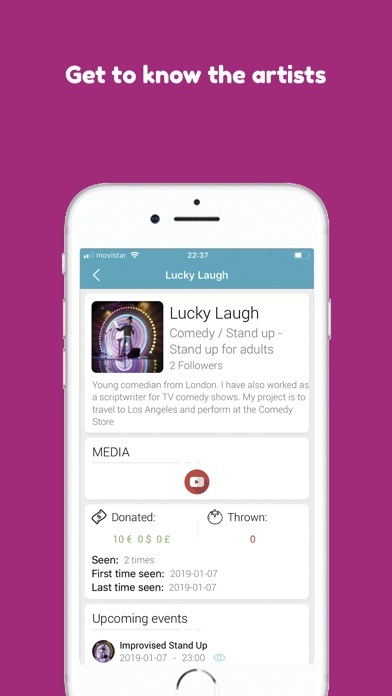 As an Artist, you can announce events to attract more people, collect donations directly from your audience and get to know them like never before. 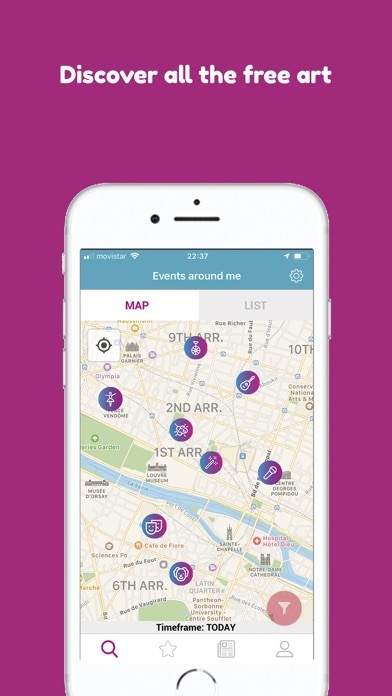 As a Venue, you have the possibility of attracting new customers to your business and organize events from the app, invite artists to participate and optimize your time by easy scheduling interface. 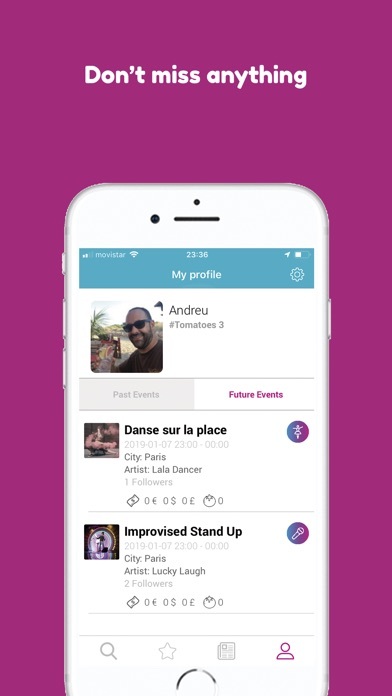 In the application, all the performed arts have their place: music, dance, plastic arts, theater and perfomances, magic, comedy and stand up, acrobatics or children entertainment are the main categories. 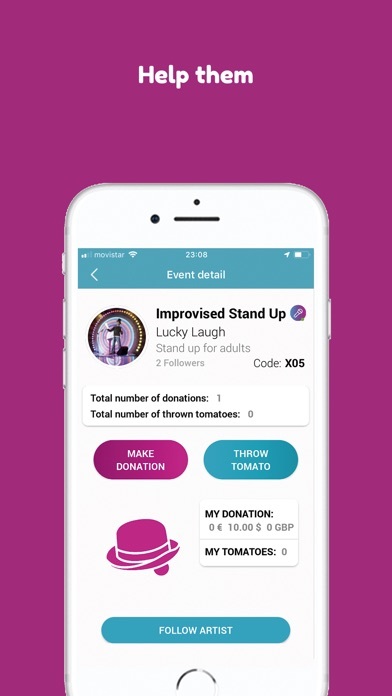 Enjoy as an ArtLover of a wide range of events to attend or even participate and help to give voice to all those artists with great talent who act on the street or in free access venues. The Hat is free, without fees or subscriptions for ArtLovers, Artists or Venues. Help us grow and promote art in a way never seen before.